AUD 16,210 Excl. Duties / Taxes. This Lozenge diamond is 1.01 carat in weight, and comes with Excellent polish and Very Good symmetry, as verified from an independent gemological laboratory. The diamond is graded D in colour, and has a clarity grade of IF. The diamond's GIA grading report number is 5316169096, which will detail further its specifications and measurements, and will also come with the purchase of the stone. AUD 4,784 Excl. Duties / Taxes. 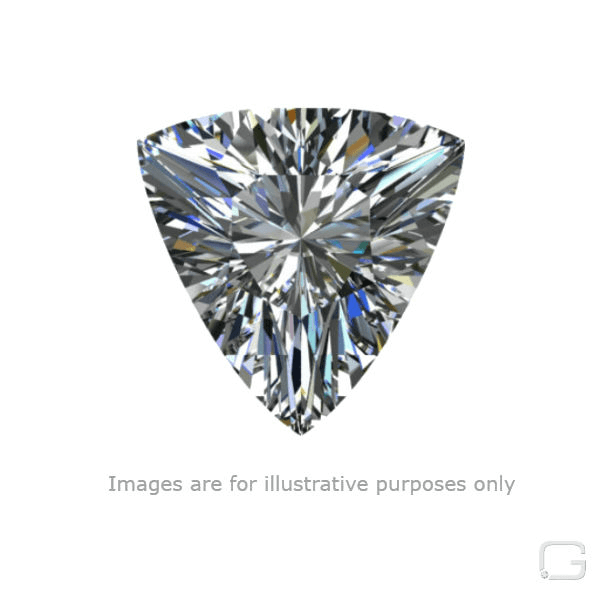 This Shield diamond is 0.59 carat in weight, and comes with Excellent polish and Good symmetry, as verified from an independent gemological laboratory. The diamond is graded D in colour, and has a clarity grade of IF. The diamond's GIA grading report number is 1318789419, which will detail further its specifications and measurements, and will also come with the purchase of the stone. This Shield diamond is 0.7 carat in weight, and comes with Excellent polish and Good symmetry, as verified from an independent gemological laboratory. The diamond is graded D in colour, and has a clarity grade of IF. The diamond's GIA grading report number is 2316550232, which will detail further its specifications and measurements, and will also come with the purchase of the stone. AUD 22,136 Excl. Duties / Taxes. This Tapered Baguette diamond is 1.12 carat in weight, and comes with Excellent polish and Very Good symmetry, as verified from an independent gemological laboratory. The diamond is graded D in colour, and has a clarity grade of IF. The diamond's GIA grading report number is 2324287799, which will detail further its specifications and measurements, and will also come with the purchase of the stone. This Trapezoid diamond is 0.41 carat in weight, and comes with Excellent polish and Very Good symmetry, as verified from an independent gemological laboratory. The diamond is graded D in colour, and has a clarity grade of IF. The diamond's GIA grading report number is 7328262789, which will detail further its specifications and measurements, and will also come with the purchase of the stone. This Baguette diamond is 0.68 carat in weight, and comes with Excellent polish and Very Good symmetry, as verified from an independent gemological laboratory. The diamond is graded D in colour, and has a clarity grade of IF. The diamond's GIA grading report number is 6321212594, which will detail further its specifications and measurements, and will also come with the purchase of the stone. This Tapered Baguette diamond is 0.46 carat in weight, and comes with Good polish and Good symmetry, as verified from an independent gemological laboratory. The diamond is graded E in colour, and has a clarity grade of IF. The diamond's GIA grading report number is 6157980396, which will detail further its specifications and measurements, and will also come with the purchase of the stone. AUD 36,626 Excl. Duties / Taxes. This Tapered Baguette diamond is 1.51 carat in weight, and comes with Excellent polish and Very Good symmetry, as verified from an independent gemological laboratory. The diamond is graded D in colour, and has a clarity grade of IF. The diamond's GIA grading report number is 1323459031, which will detail further its specifications and measurements, and will also come with the purchase of the stone. AUD 10,958 Excl. Duties / Taxes. This Trapezoid diamond is 0.86 carat in weight, and comes with Excellent polish and Very Good symmetry, as verified from an independent gemological laboratory. The diamond is graded D in colour, and has a clarity grade of IF. The diamond's GIA grading report number is 7311124469, which will detail further its specifications and measurements, and will also come with the purchase of the stone. AUD 39,737 Excl. Duties / Taxes. This Trapezoid diamond is 1.82 carat in weight, and comes with Excellent polish and Excellent symmetry, as verified from an independent gemological laboratory. The diamond is graded D in colour, and has a clarity grade of IF. The diamond's GIA grading report number is 6301397621, which will detail further its specifications and measurements, and will also come with the purchase of the stone. AUD 16,055 Excl. Duties / Taxes. This Trapezoid diamond is 1 carat in weight, and comes with Excellent polish and Very Good symmetry, as verified from an independent gemological laboratory. The diamond is graded D in colour, and has a clarity grade of IF. The diamond's GIA grading report number is 1305739295, which will detail further its specifications and measurements, and will also come with the purchase of the stone. AUD 18,812 Excl. Duties / Taxes. This Trapezoid diamond is 1 carat in weight, and comes with Excellent polish and Very Good symmetry, as verified from an independent gemological laboratory. The diamond is graded D in colour, and has a clarity grade of IF. The diamond's GIA grading report number is 1305870205, which will detail further its specifications and measurements, and will also come with the purchase of the stone. AUD 15,689 Excl. Duties / Taxes. This Trapezoid diamond is 1 carat in weight, and comes with Excellent polish and Very Good symmetry, as verified from an independent gemological laboratory. The diamond is graded D in colour, and has a clarity grade of IF. The diamond's GIA grading report number is 6302724736, which will detail further its specifications and measurements, and will also come with the purchase of the stone. AUD 13,290 Excl. Duties / Taxes. This Trapezoid diamond is 1.03 carat in weight, and comes with Excellent polish and Good symmetry, as verified from an independent gemological laboratory. The diamond is graded D in colour, and has a clarity grade of IF. The diamond's GIA grading report number is 2317168847, which will detail further its specifications and measurements, and will also come with the purchase of the stone. AUD 13,187 Excl. Duties / Taxes. This Trapezoid diamond is 1.16 carat in weight, and comes with Excellent polish and Very Good symmetry, as verified from an independent gemological laboratory. The diamond is graded F in colour, and has a clarity grade of IF. The diamond's GIA grading report number is 6292098280, which will detail further its specifications and measurements, and will also come with the purchase of the stone. This Octagonal diamond is 1 carat in weight, and comes with Excellent polish and Very Good symmetry, as verified from an independent gemological laboratory. The diamond is graded D in colour, and has a clarity grade of IF. The diamond's GIA grading report number is 2318179029, which will detail further its specifications and measurements, and will also come with the purchase of the stone. AUD 21,364 Excl. Duties / Taxes. This Tapered Baguette diamond is 1.08 carat in weight, and comes with Excellent polish and Good symmetry, as verified from an independent gemological laboratory. The diamond is graded D in colour, and has a clarity grade of IF. The diamond's GIA grading report number is 7328287721, which will detail further its specifications and measurements, and will also come with the purchase of the stone.